Editor and plugin maker Andy Mees has discovered that you can import Final Cut Pro X exported XML into the new version of iMovie. 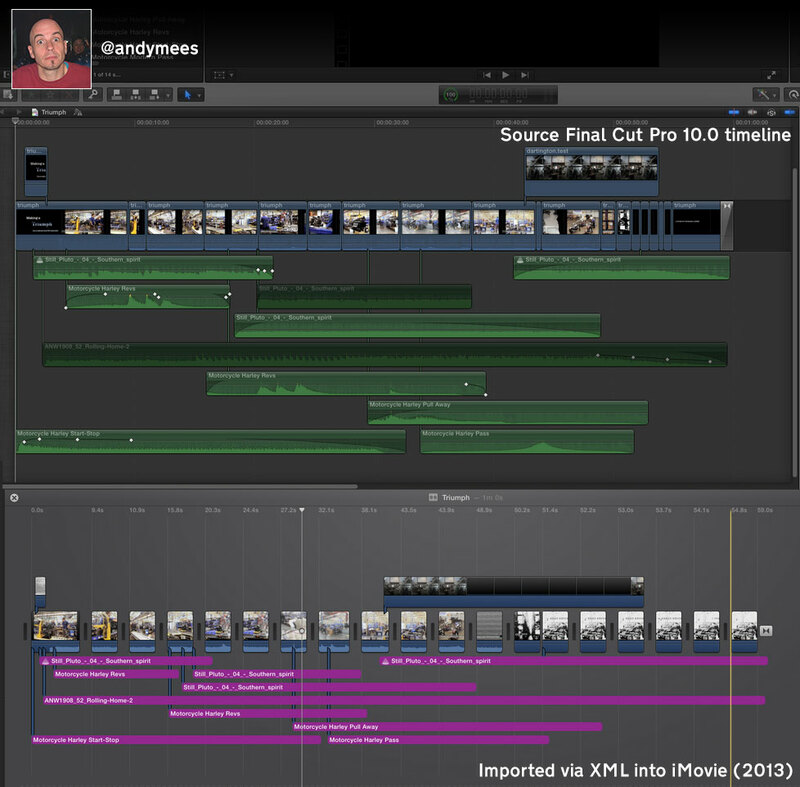 Here you can see the source timeline in Final Cut. It was exported as an .fcpxml file and imported into iMovie. The reason why the timelines don’t match up is because iMovie timelines have variable scale. Although the faint grey vertical lines are equally spaced, the times they mark aren’t equally spaced (in this case some are marked as denoting 9.4, 10.9, 15.8, 20.3, 24.4, 27.2 and 32.1 seconds). 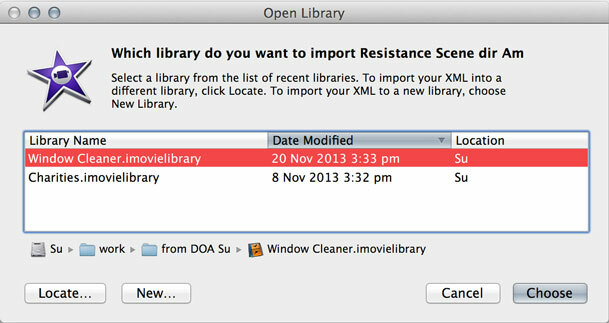 iMovie doesn’t have an ‘Import Final Cut Pro X XML…’ command. Andy discovered a simple workaround. 2. Open another window that shows the iMovie icon and drop your .fcpxml file onto the icon. As well as reading his blog, keep up with Andy by following him on Twitter.